The person making a left turn is often the cause of an accident, but there are exceptions. If you suffer an injury when a driver making a left turn strikes your vehicle, you may get compensation for your injuries. Did a driver making a left turn strike your vehicle? Call a left-turn accident lawyer in Florida at the Law Offices of Anidjar & Levine at 800-747-3733 for a free consultation. One of the reasons drivers making left turns are often liable for accidents regards the rules in Florida concerning left turns. For example, a driver turning left at an intersection or into an alley, private road, driveway, or entrance to a business must yield the right of way to approaching vehicles. A driver turning left at an intersection can strike a vehicle traveling in the opposite direction, a vehicle coming from the right, or a vehicle coming from the left. For you to recover for your injuries in a left-turn accident, our attorneys must show that the driver turning left was negligent—he violated a duty owed to you and caused the accident. What might cause the driver turning left to fail to yield the right of way to your approaching vehicle? The driver turning left does not see your vehicle. The driver may be on his phone or texting, or may just fail to look for oncoming traffic. The driver turning left may run a red light. The driver may misjudge the speed of your oncoming vehicle. The driver of the vehicle turning left may try to blame you for the accident. For example, the driver turning left may say you were driving over the speed limit. In Florida, your fault, even if more than 50 percent, does not preclude you from recovering for your injuries. Our attorneys are ready to investigate your case to determine who caused the accident. What do our attorneys do? We talk to you about what happened. Simply tell us what you remember about the accident. We visit the scene to better understand what happened to you. For example, we look for skid marks, get an idea of the traffic conditions in the area, etc. We find and interview witnesses to the accident. We examine the damage to all vehicles involved in the accident. We obtain any footage of the accident from a traffic camera or a business surveillance camera. Our attorneys can also get cell phone records to determine if the driver turning left was on his phone or texting at the time of the accident. Did you suffer an injury when a vehicle making a left turn hit your vehicle? Call a left-turn accident lawyer at the Law Offices of Anidjar & Levine. 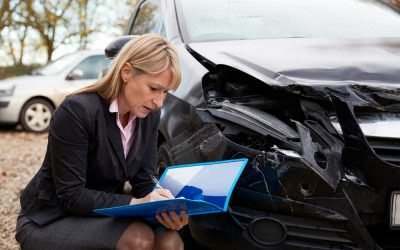 Our attorneys will investigate your case and determine the cause of your accident. If a defective part in a vehicle caused the accident, the manufacturer of the defective part could be liable. If the driver was within the scope of his employment, his employer is liable. If someone other than the driver owned the vehicle, the owner of the vehicle may be liable. If a mechanic performed negligent service on the car, the repair shop can be liable. If you suffered an injury when a vehicle making a left turn hit you, call a left-turn accident lawyer at the Law Offices of Anidjar & Levine. Your injuries in a left-turn accident can be serious. The car turning left may strike your vehicle on the left side of the car. In what is commonly known as a T-bone accident, you are not as protected from an injury as when a vehicle hits your car from the front or rear. Head injuries: A head or brain injury can result if your head strikes the steering wheel, window, or receives a sudden jolt. Shoulder injuries: Side collisions can result in injuries to your shoulder. Internal injuries: Your seat belt and airbags can save your life, but can also cause internal injuries to your ribs, spleen, and other organs. Neck and back injuries: The jolt from the impact of an accident can cause neck and back injuries. In Florida, your own Personal Injury Protection (PIP) coverage pays the first $10,000 for your injuries, regardless who is at fault. If your injuries are serious, exhausting your PIP coverage, you may proceed against the party who caused the accident. Our attorneys talk to your doctor about the extent and severity of your injuries. We help you determine if you are able to return to work. Armed with this information, our attorneys negotiate with the insurance company to reach a settlement in your case. If we cannot reach a reasonable settlement, we take the matter to court. If you suffered an injury when someone making a left turn struck your vehicle, call a left-turn accident lawyer at the Law Offices of Anidjar & Levine in Florida at 800-747-3733 for a free consultation. You have four years after an accident to file a personal injury lawsuit in Florida—call now and let our attorneys start working on your case.